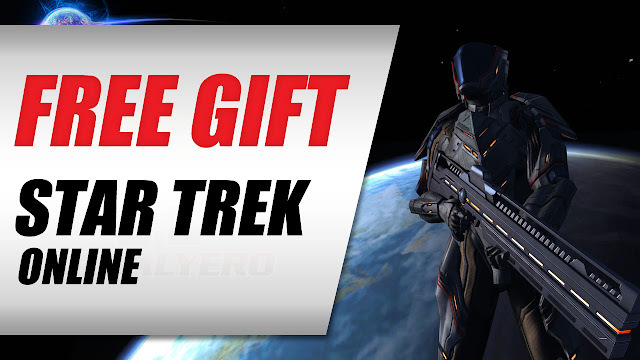 Star Trek Online, Today's Anniversary Gift And Other Goodies Claimed! - KABALYERO - PLAY, BLOG & EARN! Home / anniversary gift / federation captain / romulan captain / star trek / star trek online / star trek online anniversary gifts / star trek online ships / star trek ships / t5 caitian atrox carrier / t5 ships / t6 ships / Star Trek Online, Today's Anniversary Gift And Other Goodies Claimed! Star Trek Online, Today's Anniversary Gift And Other Goodies Claimed! Star Trek Online is giving away free ships as an Anniversary Gift to all it's Captains and the free ship today were the T5 Caitian Atrox Carrier, T5 Kar’Fi Battle Cruiser, and T5 Ar’Kif Tactical Carrier Warbird Retrofit. I didn't see the T5 Caitian Atrox Carrier and the T5 Kar’Fi Battle Cruiser but I did see the T5 Ar’Kif Tactical Carrier Warbird Retrofit in the C-Store. I also got to claim a few other goodies like the Scorpion Fighter for my Romulan Captain which was not qualified to claim the T5 Ar’Kif Tactical Carrier Warbird Retrofit because of his low rank. My Federation Captain was able to claim a T6 ship for free but I think I've claimed it before. I just forgot about it because I haven't played #StarTrekOnline for a very long time. I will check back later to see what other ships Star Trek Online is going to give away.